Life Tastes Good » 2010 » October - A diary of food and wine from the perspective of a passionate cook who is inspired by the colors and flavors of the changing seasons. October 6th, 2010 – Dinner at Bouley hosted by 56 Degree Wine. Words cannot describe how ethereal this experience was. I’ll try, but don’t blame me if you get hungry… or jealous. The venue in and of itself is something out of a fairy tale. Magical is the word that comes to mind. 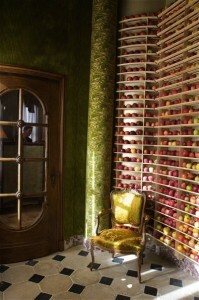 Bouley hired the best men for the job (some from overseas) to create the look that he was envisioning. Imported French doors (the one leading to the cellar is so heavy that Chef Bouley referred to it as “almost petrified,”) details dating centuries back, and stone that was from the same quarry used to restore the Versailles Palace in France are just a few of the authentic ingredients used to transform this space into a structural paradise. Upholstered frames, over-sized mirrors, and textured walls add to the appeal. It is romance to the nth degree. 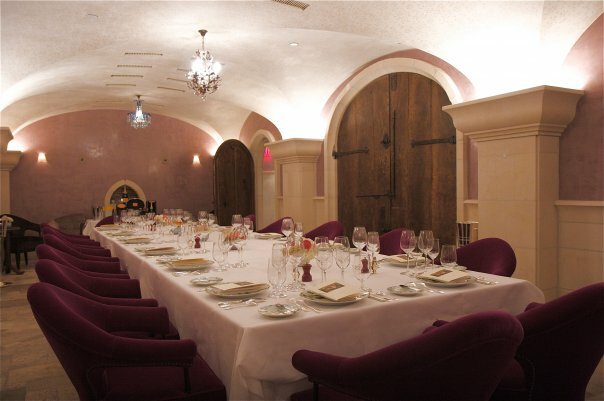 I had the opportunity to feast in the elaborate main dining room two years ago, but this time, the event was to take place entirely in the downstairs private room, adjacent to the wine cellar. The massive walnut doors and antique hardware was reminiscent of an old French Chateau. Just stunning. My notes… Such a unique dish! The creaminess of the sea urchin stood our for me, and my first encounter with kinome leaf – so savory, slightly peppery.. perfectly balanced dish. I was looking for ways to re-create this dish at home (challenge!) and then I found THIS! SCORE!!!! My notes… Rich and earthy while preserving a wealth of freshness and brightness (perhaps the corn?) Someone at the table questioned this and decided that the dashi was too overwhelming. I couldn’t disagree more. Amazing balance in this dish! And, it paired magnificently well with the Lesec! My notes… Always a favorite of mine on any menu… the FARM EGG. The coconut broth brought a whole new dimension to this dish, resulting in a mouthful of tropical richness. The Ciallabianco was a great pair – although I still had a tiny but of Puligny left over, and it was just as stellar of a pairing! My notes… Perhaps the marriage of the night! Rich lobster, earthy mushrooms, tropical passion fruit and lychee, fresh peas, and aromatic hyssop. Almost a chaotic slew of ingredients – but wow. The combination was magic (there’s that word again!) 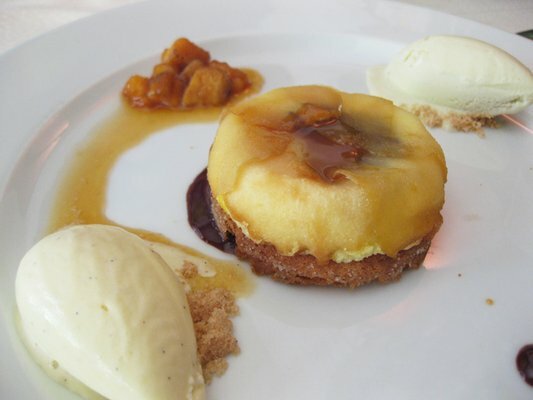 Every bite revealed another dimension, every sip of the Riesling reminded us of how incredible a meal like this can get with the “proper” wine pairings. Kudos and thanks to Chris and Joe and to the staff at Bouley for recognizing all of these flavors and for allowing every single guest in that room the chance at such a food and wine epiphany! My notes… The venison loin was brought out just before slicing, and Chris caught a picture of it. Click here to view the masterpiece (keep in mind that there was very low light in the room when the picture was taken!) Again, such fragrant and savory flavors. And what better wine than the Giacosa Barbaresco to bring out the delightfulness in it all? PS – The coolest thing about this dish is that every item could have stood on its own… the venison; the chestnut gnocchi; the brussel sprouts; and the “comte” cloud – literally a cloud of cheese. YUM. My notes… For what seemed to be a “palette cleanser” or “pre dessert,” this course left us so satisfied and content. Fresh, bright, delicious! 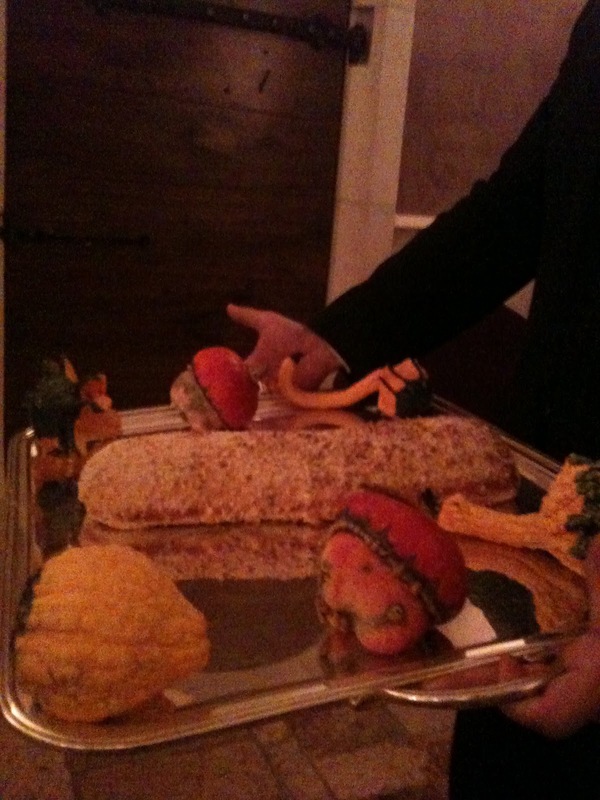 My notes… The dessert is a masterpiece. The thinnest slices of caramelized pear wrapped the little package up. Inside, was Valrhona chocolate and biscuit breton (a buttery biscuit that was first made in the northwest part of France.) Hot toffee sauce topped the pears and the sorbet and ice cream flanked on either side. The dessert wine was the perfect balance of nutty, toffee, rich goodness balanced with a good amount of acidity, so it didn’t seem cloying at all. 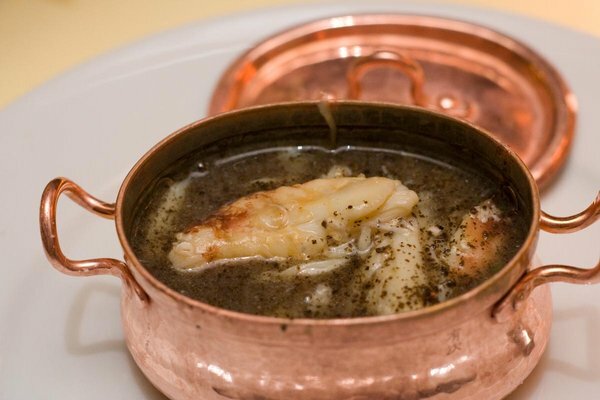 An unforgettable meal and experience. Still, the words I use don’t seem to do justice to the evening. So, I’ll just relish in my memory. 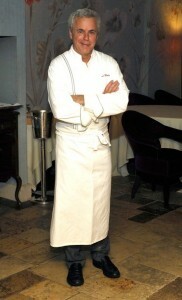 You are currently browsing the Life Tastes Good blog archives for October, 2010.